If you're planning a relaxing vacation, consider a destination spa where you can enjoy not only a holiday, but some well-deserved pampering as well. 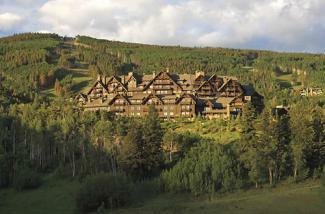 Look into a holiday at one of the top spa resorts in the U.S. and enjoy a vacation for your body, mind, and senses. Boca Beach Club is a Waldorf Astoria Spa resort and was named the #1 spa in the world in the 2014 Condé Nast Traveler's Readers' Choice Awards. It's one of the best luxury spa resorts in the United States, and is actually made up of five boutique hotels in Boca Raton. Choose from water or golf course views for a relaxing spa retreat. Its Waldorf Astoria Spa is inspired by Spain's Alhambra Palace, featuring beautiful gardens, formal arches, marble, handcrafted tile, and cypress woodwork. They have more than 40 treatment rooms available for a variety of services, including their signature Ritual Bath featuring nine mineral baths, as well as waterfall showers, whirlpool baths, and steam rooms. The St. Regis Aspen Resort in Colorado was the 2014 number one pick for the continental U.S. in Travel + Leisure's World's Best Spas list and is on the 2015 U.S. News & World Report list of the best hotels in the United States. 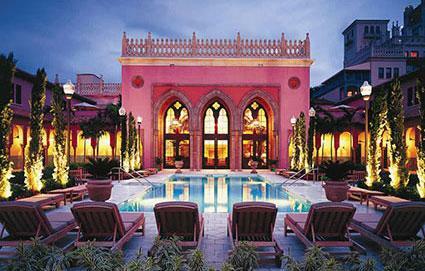 According to the St. Regis, its Remède Spa was one of only 120 spas to receive a Forbes Four Star award. The recently renovated spa features softer lighting, new furnishings, and fresh decor. Choose from a variety of personalized treatments at Remède Spa and enjoy complimentary access to its renovated oxygen lounge, steam caves, cold plunges, hot tubs, and Confluence waterfall. Traditional afternoon tea is available in the Shadow Mountain Lounge. Maui's Fairmont Kea Lani in Maui was awarded the top spot in Travel + Leisure's list of the Best Hawaiian spa resorts in 2014 and has received numerous other awards. The Willow Stream Spa embodies the Hawaiian experience, honoring important rituals like balancing the spirit, people, and land. Unique features include showers inspired by Maui rain, a mud bar, and hot lava stone foot bed. Choose one of Willow Stream Spa's signature experiences like Awa Remedy. The 90-minute session includes a Hawaiian salt scrub, a pressure-point foot and scalp massage, and a tension-relief massage. 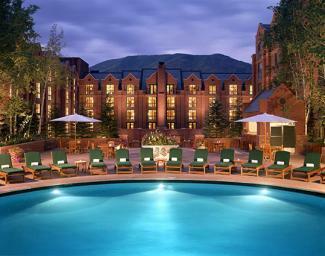 Located in the prestigious Vail Valley, The Ritz-Carlton, Bachelor Gulch made the list of top 10 hotel spas worldwide on Gayot and earned a Forbes Four-star rating. It is also on U.S. News & World Report's 2015 list of the best hotels in the United States. Their 21,000-square-foot spa features 19 treatment rooms, but the signature element is its stunning rock-lined grotto with steam, sauna, and hot and cold plunge pools. Unique spa treatments include the Roaring Rapids, a hydrotherapy massage experience inspired by white water rafting, and the summer Mountain Spring Morning, which starts with a 90-minute hike followed by private yoga session and then a 60-minute massage. The spa at The Omni Homestead Resort in the Allegheny Mountains is number four on Fodor's best new spas in North America for 2014. Formerly manged by Canyon Ranch, the massive 60,000-square-foot spa includes numerous treatment rooms, with signature services like the Mineral Springs Mud Wrap, during which you'll enjoy a relaxing wrap covered in mud from the hot springs followed by a rejuvenating exfoliation treatment. Not only are the springs therapeutic, they are also historic. Since the 18th century, more than 20 U.S. presidents have visited the springs at The Omni Homestead. 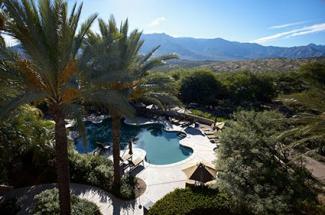 Elle magazine names Miraval Resort & Spa in Tucson one of their top spa retreats, catering to celebrities like Oprah. The Our Life in Balance Spa is inspired by the Sonoran desert it calls home and offers a variety of treatments, including Ayurveda. Consider splurging on suite-exclusive treatments like the Boundless Botanicals Pairing, which is a Clarins Miraval Creation. The two-hour and 50-minute treatment includes a special Mountain Berry Clay Renewal Ritual and signature facial. Try the Hands of Silk package with a 80-minute four-hand massage and 30-minute relaxation session in the spa suite. The Poconos Spa at The Lodge at Woodloch claims to be "Earth's most inspired spa retreat," and Resorts & Lodges agreed, naming it the number one U.S. spa resort in 2011 and one of the top 2014 summer luxury spa getaways. Pennsylvania's Poconos Mountains are a popular destination for honeymoon travelers, and the adults-only spa at The Lodge at Woodloch offers customized couples treatments. Coordinate your perfect spa day with the Spa Concierge, or choose something like the Suite Surrender. In the privacy of the spa suite, this 100-minute treatment includes an exfoliation treatment, hot bath, and side-by-side couples' massage. Anita Brown, Spa Expert for About.com, lists Golden Door in Escondido as her top pick for destination spas within the United States. This spa sets aside specific weeks just for women and just for men, as well as co-ed weeks. The 40 Japanese-inspired rooms include private patios and a number of personalized services. Daily in-room massages, a personal esthetician discussing your personal beauty regimen, and four private sessions with a personal trainer are a few of the perks at Golden Door. There are over 40 activities for guests to choose among, including Pilates, hikes, yoga, 20 miles of hiking trails, swimming pools, tennis courts, and more. With a ratio of four staff for each guest, you're sure to feel very pampered. A panel of experts weighed-in for nominations and readers of USA Today's 10 Best declared The Ritz-Carlton Spa, Orlando, Grande Lakes their top destination spa resort in the United States for 2015. With such a high honor, it's no surprise that the spa has received many other awards as well. The spa menu includes an impressive selection of luxurious spa treatments, from an intimate 20-minute couples bath to the 120-minute Grande Ultimate Rescue for maximum pampering. The Ritz-Carlton Spa claims its treatments are homegrown, because they actually are. The Ritz-Carlton, Orlando, Grande Lakes grows its own herbs and produces honey from its own bees at Whisper Creek Farms. Their citrus fruit comes from local orchards. Gone are the days where offering standard spa treatments is enough. Spas continue to outdo themselves year after year, offering a combination of treatments in stunning facilities with options drawn from local inspiration. With completely personalized spa holidays featuring extras like fitness classes and cooking classes, a destination spa holiday can trigger a whole new way of life.